Let your hands and nails be pampered by a qualified beauty therapist! A great alternative to acrylic nails. If you want a more natural look, try Gel Polish! Like your manicure or pedicure to last a bit longer? Then try Gelish - this is no ordinary manicure treatment it goes on like a Polish but performs like a Gel adding strength and flexibility to natural nails lasting 2-3 weeks without chipping. It soaks off in just 15 minutes with no damage to your natural nails. Perfect for holidays! VitaGel repair treatment for Nails (LED/UV light-cured vitamin nail strengthener, can be worn alone as a natural nail strengthener or under Gelish). * MANICURE OR PEDICURE PROCESS: We will shape your nails, push the cuticles back and prepare the nail plate, before applying the base coat, colour and top coat each layer is set under a LED lamp. The best thing about this product is that no drying time needed, as soon as the polish has been applied you are ready to go. * If you require a French Paint with any of the treatments please state at time of booking. A deeply nourishing Manicures to restore your hands and nails back to their full glory! Clean cuticle, shape nails, exfolate, nourish, massage, finish with polish & cuticle oil. Clean cuticles, shape nails, exfoliate, moisturising mask is applied and then placed in heated mitts to help the products penetrate into the skin, massage, polish & finish with cuticle oil. Our most luxurious and intensive treatment, the ultimate grooming for perfect handst! Luxury Paraffin Wax Manicure - The ultimate grooming for perfect hands! Our most luxurious and intensive treatment for your hands. Paraffin wax manicure includes soak, cuticle tidy, shaping the nail and exfoliation. A hydrating/moisturising masque is applied followed by warm paraffin wax treatment. Your hands are dipped into the heated paraffin wax and gently wrapped in mitts. The hot Luxury paraffin wax penetrates deep into the skin allowing moisture to work its way back into the hands, leaving them feeling soft, smooth and intensely moisturised. The hands and forearms are then massaged and then nails are finished with perfectly applied nail colour and organic cuticle oil. Hot paraffin wax is designed for tired and dehydrated hands. Treatment softens hard, rough and dry skin, reduces swelling of the hand, targets problems with aching joints, and even relieves pain caused by arthritis. .Don't forget to wear flip flops when it comes to getting your pedicure! A deeply nourishing Pedicures to restore your feet and toenails back to their full glory! Clean cuticles, shape nails, exfoliate, moisturising mask is applied and then placed in heated booties to help the products penetrate into the skin, massage, polish & finish with cuticle oil. Our most luxurious and intensive treatment, the ultimate grooming for perfect feet! Our luxury pedicure is our most luxurious and intensive treatment leaving your feet feeling super soft and supple. We will start by soaking your feet in warm bubbles, then cuticle cream is applied to each toe followed by tidying the cuticles, shaping the nails and deep exfoliation. A warm Luxury paraffin wax is applied to soften hard, dry skin and ease joints, the feet are then placed in heated booties to help the products penetrate into the skin followed by feet and lower legs massaged. The nails are finished with perfectly applied nail colour and cuticle oil. Your feet will look and feel gorgeous after the treatment. 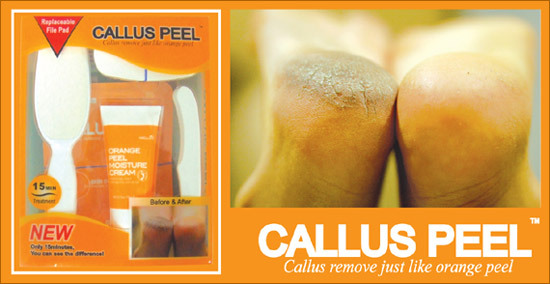 Don’t just dream about pretty feet, simply Callus Peel away the hard skin and calluses! 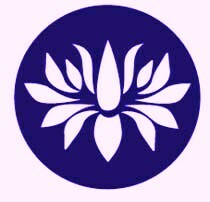 * The treatment can be repeated every weeks if needed. A busy and active lifestyle can lead to a build-up of hard skin and calluses on the foot, making this part of our body uncomfortable and unsightly. Unlike filing and blades this treatment really works to keep the skin on your feet soft. Callus Peel is a special treatment to treat cracked heals and prevent further problemsl treatment will leave feet soft and feeling rejuvenated. The Callus Peel is applied to the problem areas, allowing calluses to be scraped away quickly. This treatment takes just 20 minute and you can see the result right away.